Can you trust a label? Verifying what’s in two popular herbal supplements. Herbal supplements are ‘big’ business – the global herbal supplements and remedies market is forecast to reach $107 billion USD in 2017. A recent press release by the American Botanical Council stated that US sales of herbal supplements increased by 7.7% in 2016 showing the 13th consecutive year of sales growth with retail sales now surpassing $7 billion USD. This is not so surprising as the use of complementary and alternative medicines (CAM) continues to be very popular. A survey carried out in 2010 showed that between 24% and 54% of the general population in the UK have used alternative approaches to medicine with herbal remedies ranking sixth among 23 CAM categories. Herbal supplements and medicines are far less regulated than pharmaceutical drugs as they are classed as dietary supplements avoiding the same rigorous safety, efficacy and licensing process required for pharmaceuticals. In the UK it is the responsibility of the manufacturer of the supplement to ensure that what’s on the product label is also in the product. However, this can be a very difficult task as the ingredients of herbal supplements are often highly processed and it might not be possible to identify them reliably using traditional methods based on diagnostic morphological features of plant parts. It doesn’t therefore come as a surprise that the combination of a lucrative herbal product market and light regulation has led to adulterated products which do not contain the target species but do contained an undeclared substitute or a mixture of the two. We thought it would be interesting to test Siberian ginseng and roseroot herbal supplements, two popular products which are widely available on the UK market. Siberian ginseng is actually not a ‘ginseng’ at all and has nothing to do with the real ginseng Panax ginseng but is the root of Eleutherococcus senticosus (Rupr. et Maxim.) Maxim. 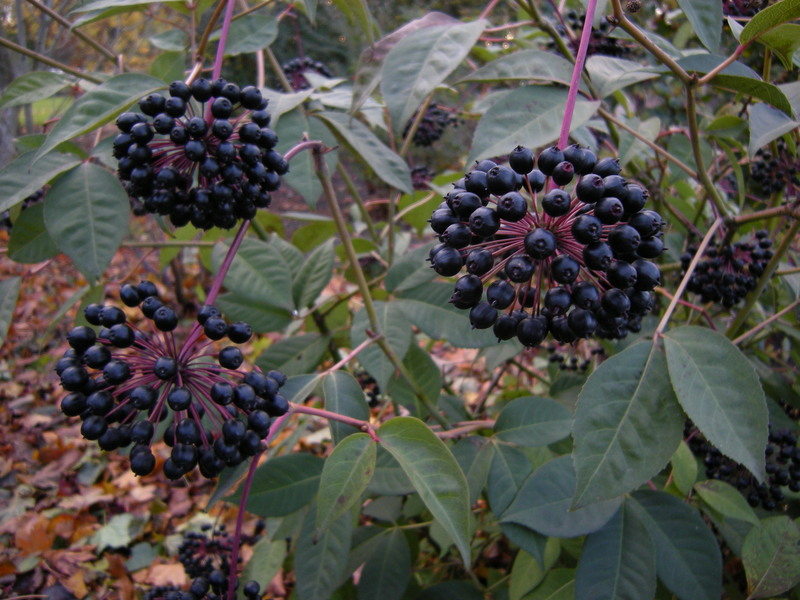 (Araliaceae), a native of northeast Asia and southeast Russia. It has been used in traditional medicine since ancient times in eastern Asia and its anti-fatigue, anti-stress, anti-cancer and immune-enhancing properties have been the focus of intense medical research since the mid-1950s. Equally, the root of Rhodiola rosea L. (goldenroot, roseroot), Crassulaceae, a native of high-altitude areas throughout most of the northern hemisphere, has been used medicinally for centuries and numerous studies have been carried out on its anti-viral, anti-inflammatory, stress resistance and mental alertness enhancing properties. So we bought 25 Siberian ginseng and 14 roseroot products from herbalist shops and from online UK retailers. DNA was extracted and we sequenced the chloroplast gene matK (Siberian ginseng) and the nuclear region ITS2 (Siberian ginseng and roseroot) to see whether the resulting sequences matched our reference sequences for these two species. The good news is that all Siberian ginseng products contained the correct species Eleutherococcus senticosus, however, 36% of the products turned out to be a mixture which also included an Eleutherococcus species other than E. senticosus. For roseroot we only got DNA out of 13 of the 14 products. For three of these we could only retrieve sequences matching alfalfa (declared on the product label) and fenugreek (not declared). It is important not to jump to conclusions here as DNA can get severely degraded during the manufacturing process so that the absence of Rhodiola DNA cannot be taken as proof for a compromised product. We therefore have to give it the benefit of the doubt. 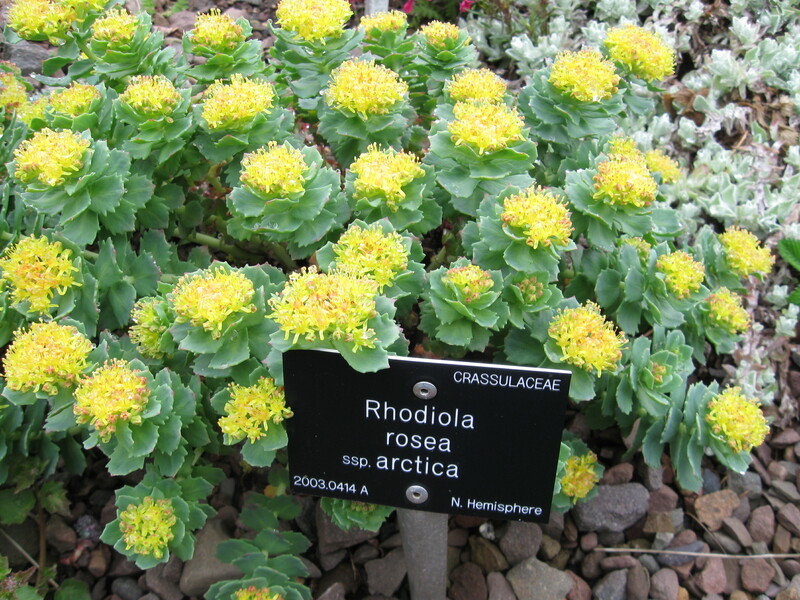 However, in the remaining 10 supplements the target species Rhodiola rosea was only detected in five of them with the other five containing a different species of Rhodiola. In our paper we discuss various reasons why these two herbal products might show such high rates of adulteration but it is clear that there is room for improving safeguards to ensure that what is on the label also finds its way into the product. The full study, “Authentication of Eleutherococcus and Rhodiola herbal supplement products in the United Kingdom“, is published in the Journal of Pharmaceutical and Biomedical and is available on-line. Scientific Name:Eleutherococcus senticosus (Rupr. & Maxim.) Maxim.